The garden designed by Vita Sackville-West and her husband Harold Nicholson in the 1930s remains inspirational to gardeners worldwide to this day. Sissinghurst is designed as a series of ‘rooms’ enclosed by hedges, each with a different theme and planting scheme. 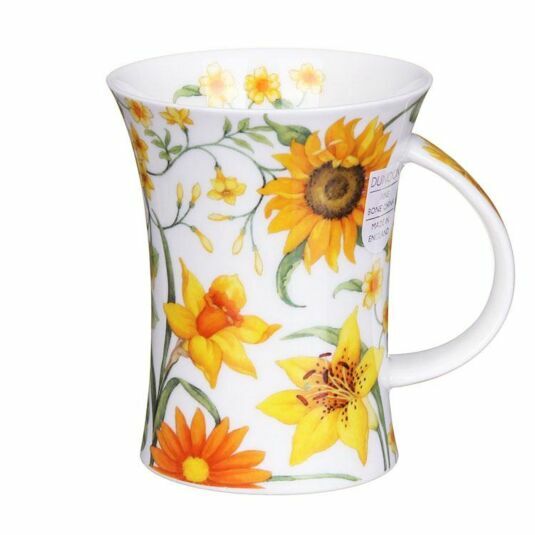 This mug from Dunoon featuring a design by artist Michele Aubourg, reflects the warmer toned selection of garden plants, and is illustrated with flowers such as the Sunflower, Daffodil and Gerbera, among others. The images are beautifully executed, with faithful colours and precise details. 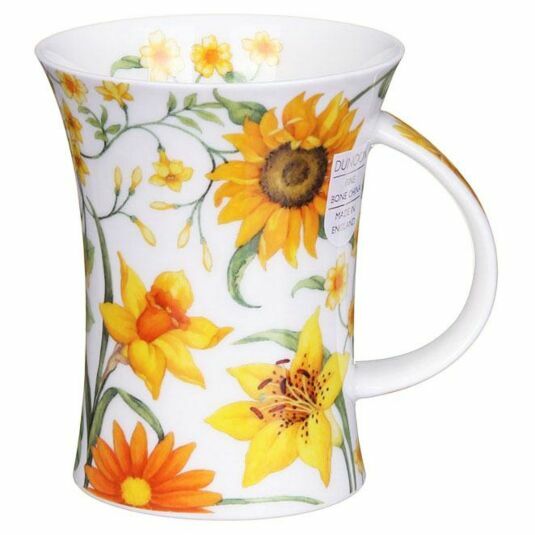 One for gardeners and plantsmen, this mug also has an appeal to anyone who loves flowers and colour. A stylish flared shape with a decorated handle, Richmond is one of the most popular Dunoon fine bone china mugs. With a capacity of 330ml they are both dishwasher and microwave safe, with the exception of those featuring gold embellishment.